We have made things a little easier for you last minute shoppers. 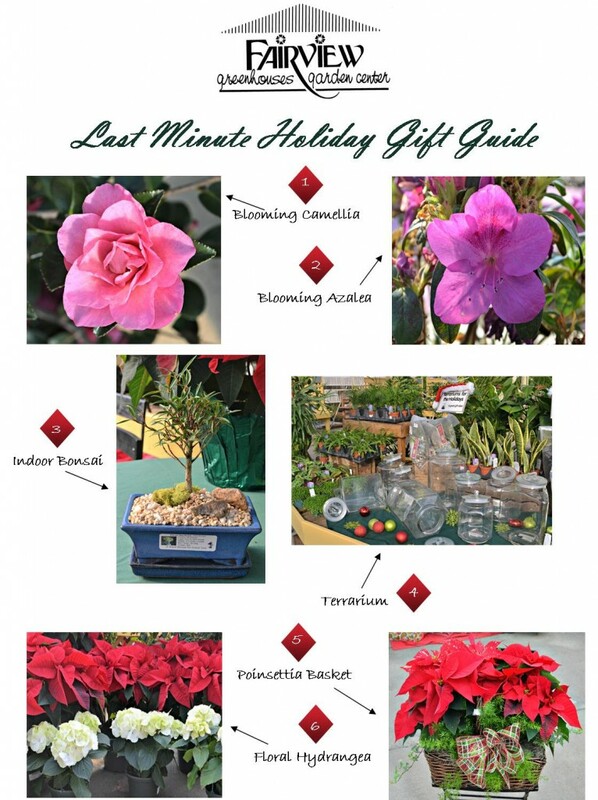 Check out the Fairview Garden Center Last Minute Gift Guide. Think about a beautiful, blooming Camellia or Encore Azalea? An indoor Bonsai to groom and enjoy all year long. A custom made terrarium or all the essentials to make your own. Be sure to check out all of the weekly Specials on our home page!